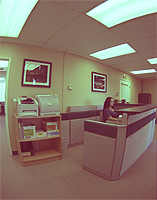 California Infrastructure Consultancy (CIC), Inc., was established in spring of 2007. We are a young company, both in terms of the length of our existence as a firm and the abundant energy we have for our clients’ needs. Our philosophy is for trust, respect and personalized attention to be the basis of the professional relationship between CIC and its clients. The Build America Award for Excellence by the Associated General Contractors and AON, Inc.
Mr. Tamannaie managed the Federal Demonstration Project for widening of Lawrence Expressway for HOV lanes in Santa Clara County. The project involved widening and seismic retrofit of Stevens Creek Boulevard Undercrossing and El Camino Real Overcrossing. 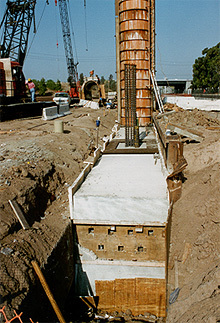 This project won the South Bay Chapter of American Public Works Association's Public Works Project of the Year Award in 1997. Mr. Tamannaie designed the Barranca Parkway HOV Drop Ramp project, a bridge supporting an HOV ramp that makes a T-intersection with an existing overcrossing structure in the median of State Route 5 in Orange County. The bridge and its mechanically stabilized embankment (MSE) approach structure form a unique structural and aesthetic design. The designation of "drop ramp" entered the Caltrans lexicon with this type of bridge, built on the California highway system for the first time. 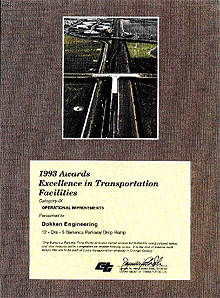 The project received Caltrans's 1993 Excellence in Transportation Award in the category of Best Operational Improvements. Mr. Tamannaie Served as the Project Manager for a segment of a fast-track Caltrans project, funded by LACMTA, for completion of SR 30 in Los Angeles county. The project included 15 bridges, five of which were designed by Mr. Tamannaie's team. The suspended Marshall Creek Flume, carries the flood channel over the 10-lane depressed freeway. 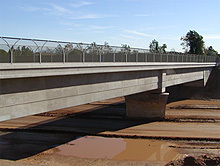 The latter is a unique, complex, and large self-supporting prestressed concrete box structure carrying truck traffic on top and the load of the existing floodwater channel severed by the freeway alignment. This structure was presented at The 2002 International Bridge Conference as a unique water conveyance structure and has been used as a model for similar projects.